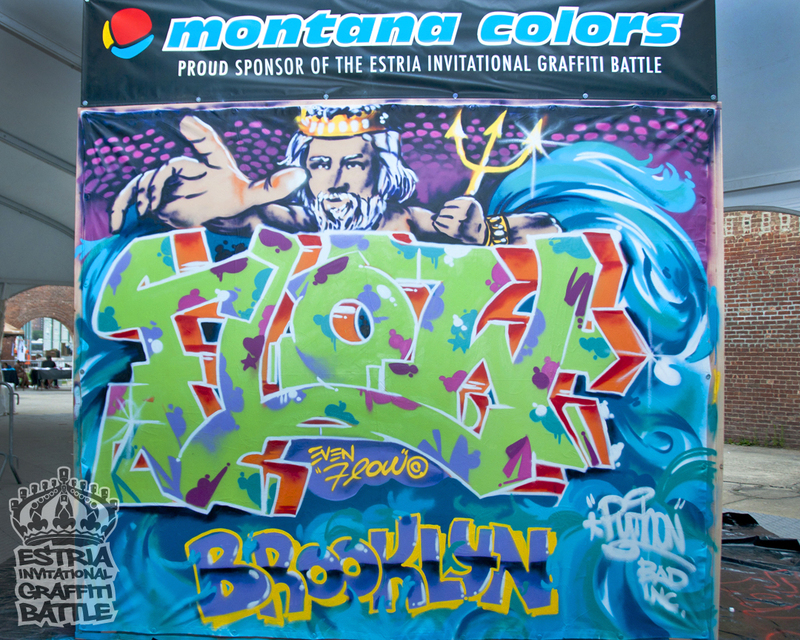 Brooklyn, New York, July 28, 2011 – The first graffiti battle of the season took place at the Tobacco Warehouse, along with The Brooklyn Hip-Hop Festival on July 16, 2011. 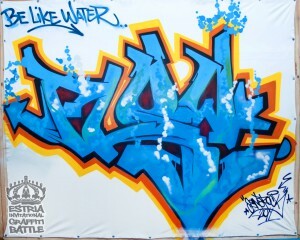 Twelve artists competed using the word “FLOW” in their pieces, inspired by the Estria Foundation’s Water Writes project. 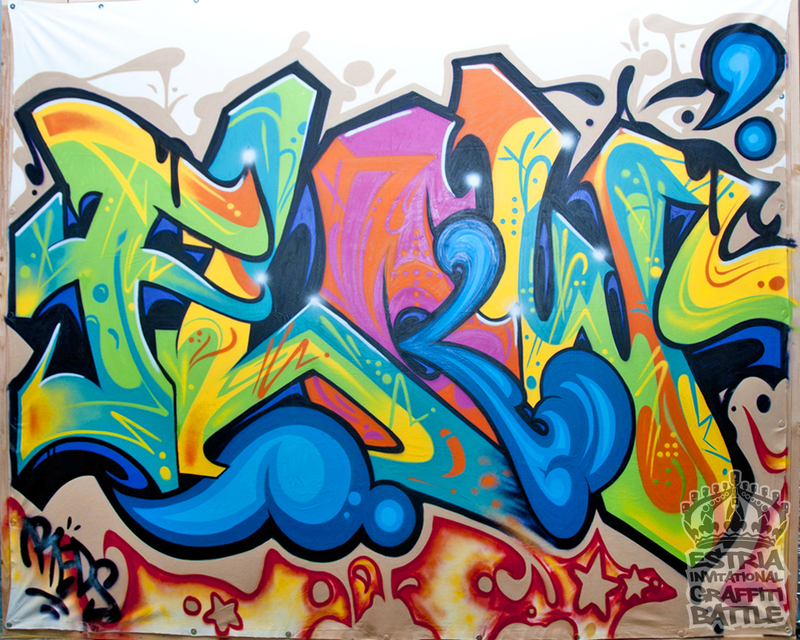 Artists are judged by their ability to incorporate letters, characters and background into their pieces, and must use the given word. 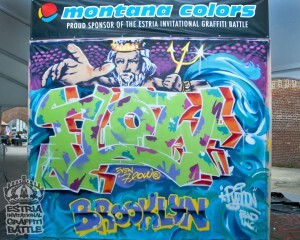 The winner DOVES, maintained his throne this round having also took home 1st place in the Harlem Battle (2009). 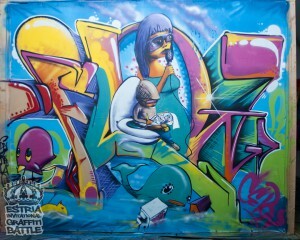 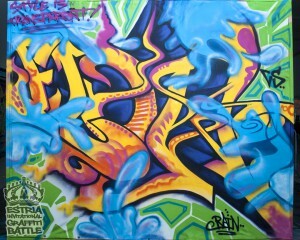 MERES of 5pointz took 2nd place, and CERN came in 3rd. 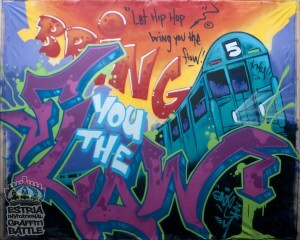 Artists that competed in the New York Battle also included Rain VS, Python PIC, Sade, Reds, Erotica, Totem (FBA), Clark (Fly ID), Queen Andrea (AOK), Demer (Wallnuts). Artists were judged by Chino (BYI), Keo (TC5), and Estria. 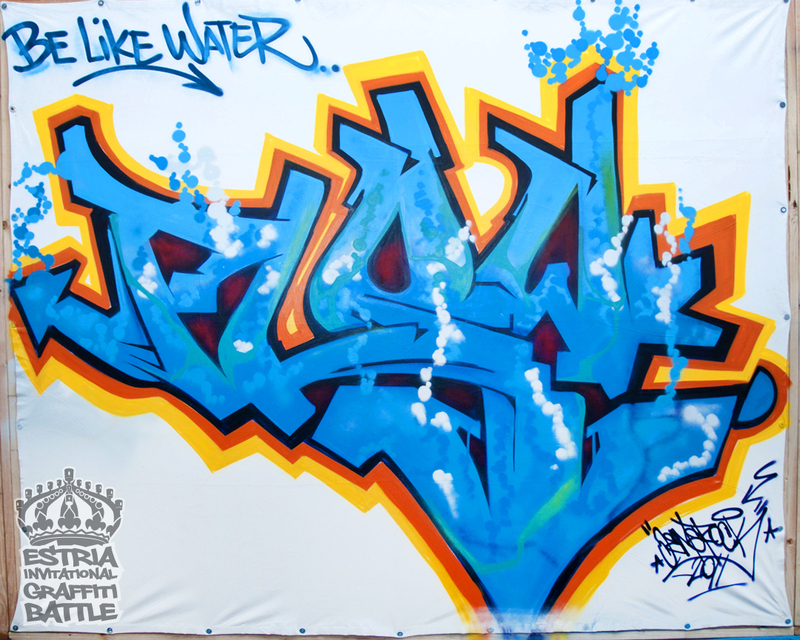 The day’s festivities also included a sneaker design competition hosted by artist James Top, and a t-shirt stencil workshop where kids of all ages were able to pick up a spray can for the first time and create art to take home. 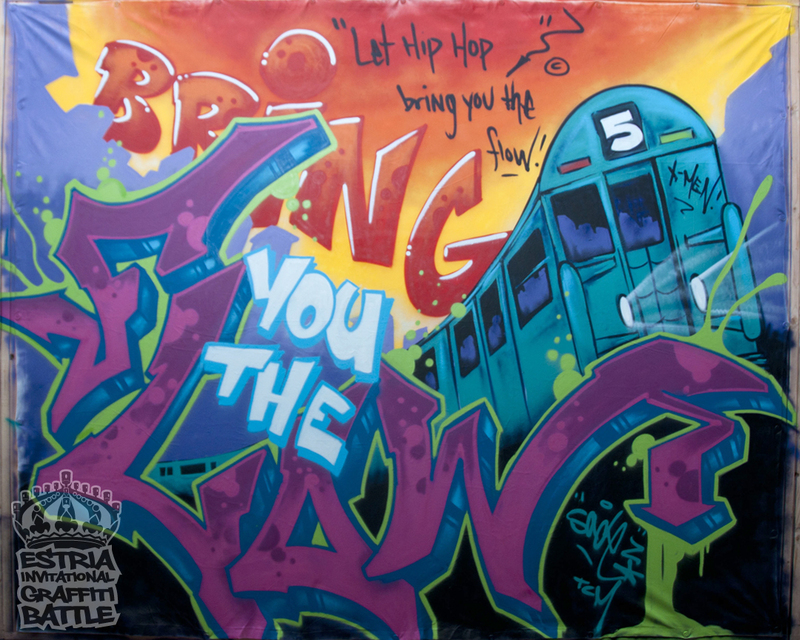 The Brooklyn Bodega Family Day stage was hosted by battle co founder Jason Mateo, with performances by legendary Hip-Hop artists Lords of The Underground. 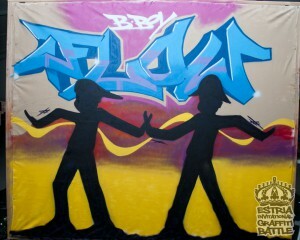 DOVES and MERES will be competing in the final battle this October 8, 2011, in Oakland, CA. 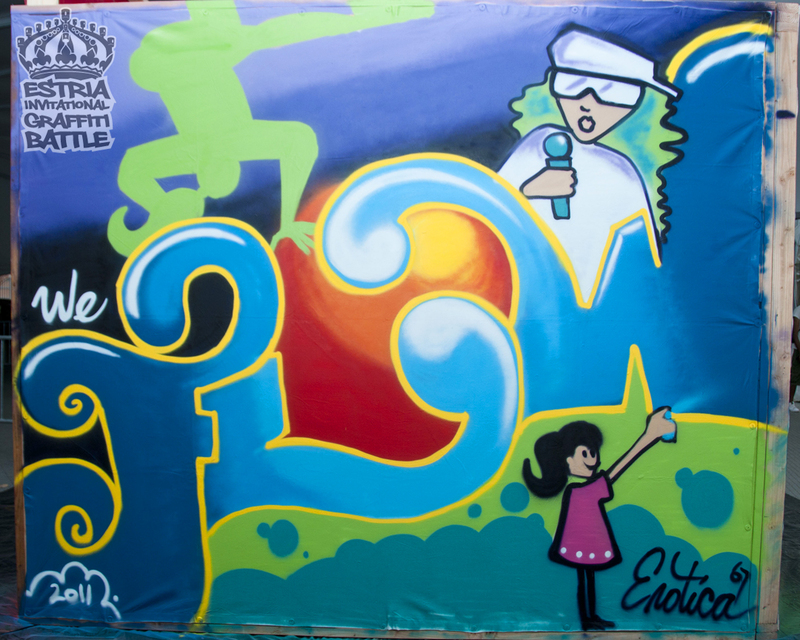 The Estria Invitational Graffiti Battle is now in it’s 5th season, and prides itself on advancing graffiti art and artists, while also highlighting the positive impact this art form can have in the community and youth culture. 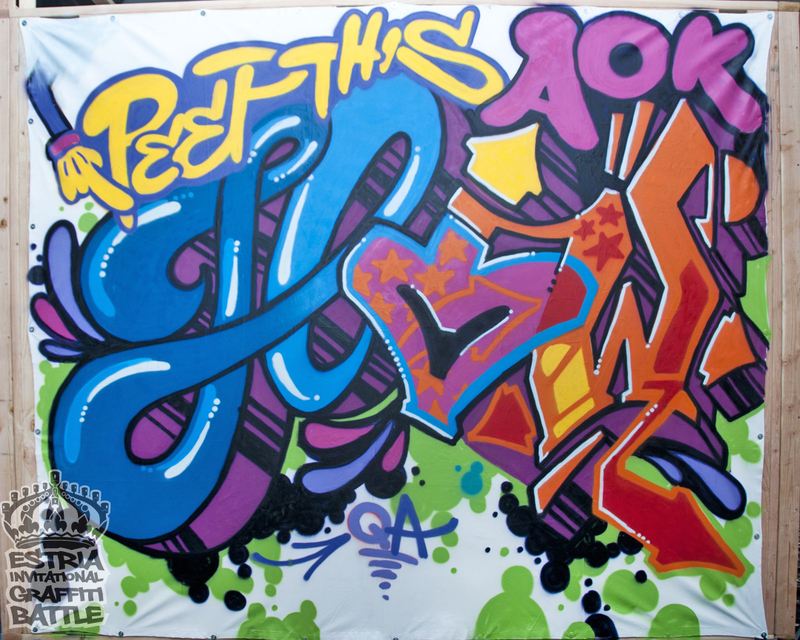 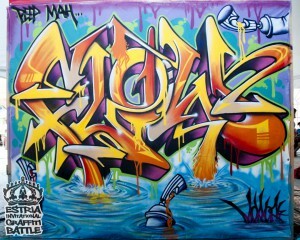 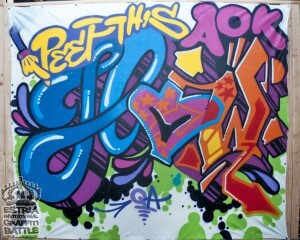 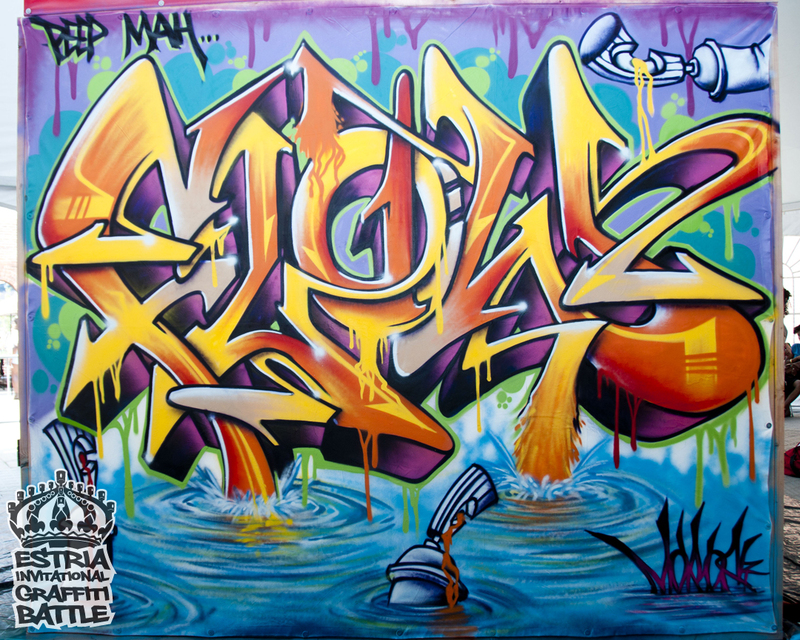 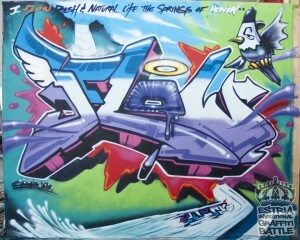 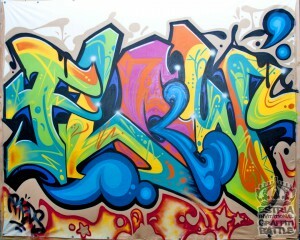 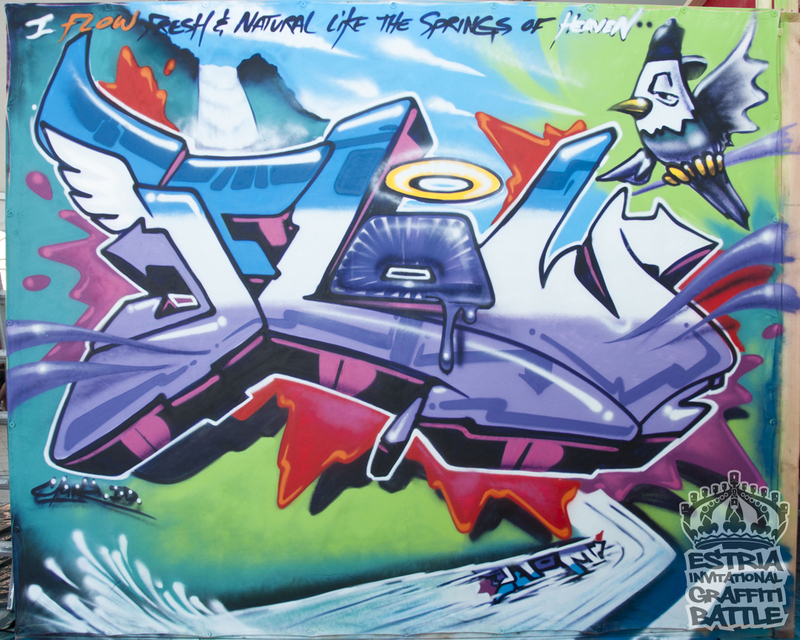 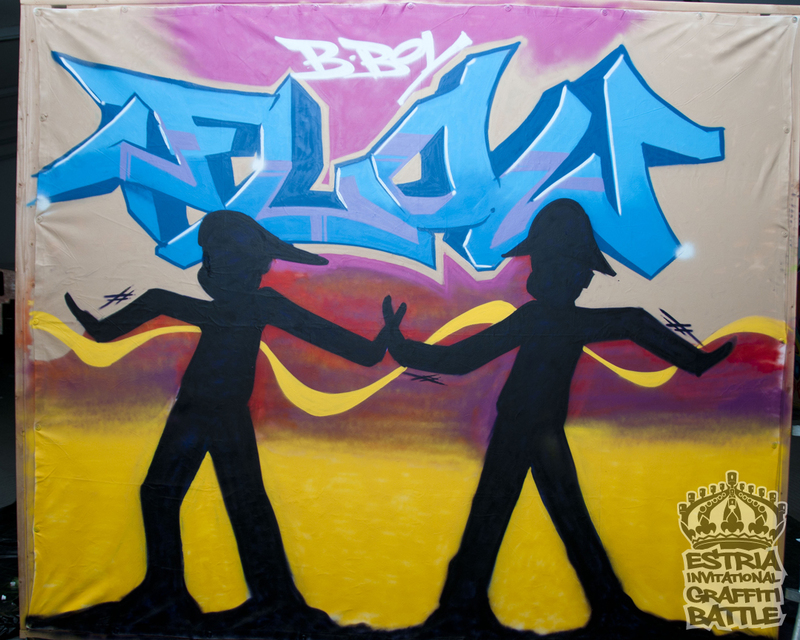 The second graffiti battle will take place August 13, 2011 in Los Angeles with Crewest Gallery, followed by battle three in Hawaii with the Honolulu Academy of Arts on September 3, 2011. 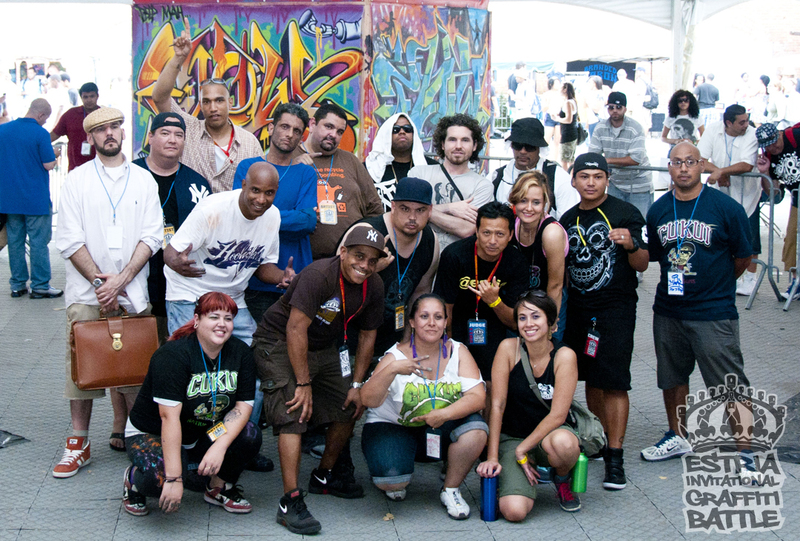 The final battle of the year will take place in Oakland, CA on October 8, 2011. 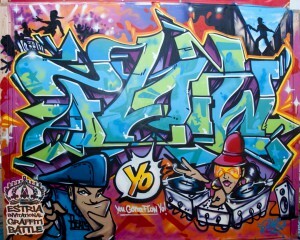 Artists and judges will be announced on estriabattle.com. 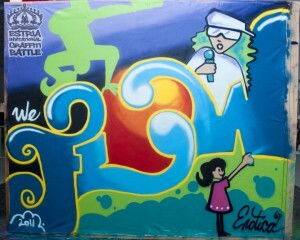 Volunteers and interested partners or sponsors can contact paloma@estria.org. 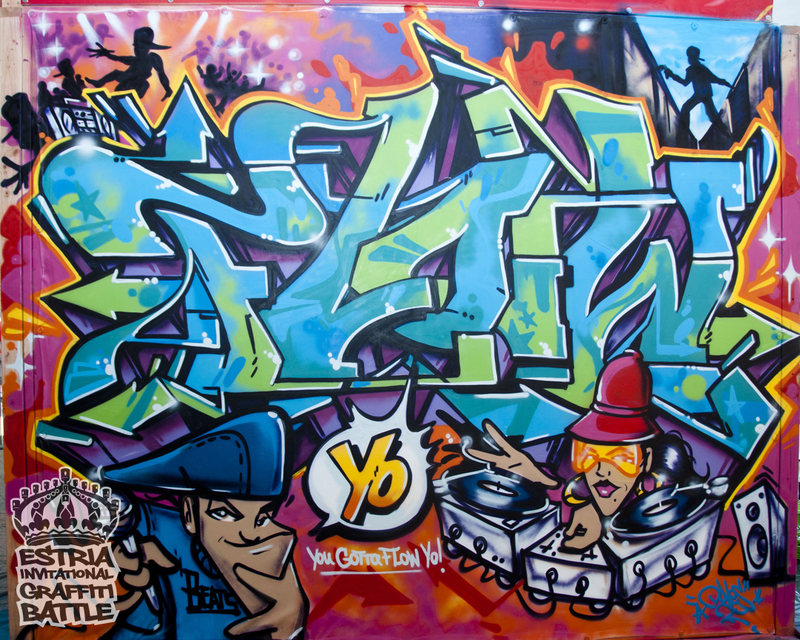 Final pieces from the battles will be exhibited and auctioned to raise money for the Estria Foundation.